This is a rugged reproduction of the Medieval Roman Armor Muscled Cuirass from the late 5th Century. 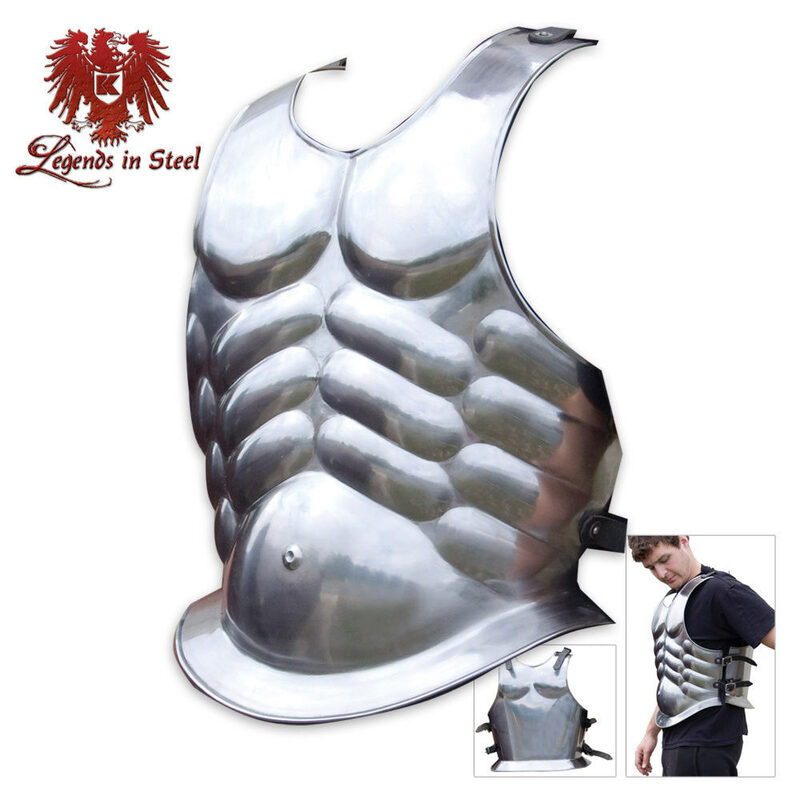 This armor breastplate is made of hand-forged 18 gauge steel. The straps are made of sturdy Leather and the buckles are 18 gauge steel and adjustable for a comfortable fit. The entire strap is riveted to the plate metal of the cuirass. This is a solid piece of medieval armor that won't come apart while you're wearing it. This item is shipped to you pre-oiled for protection.